Brother Edmund Garvey has devoted his life to Education as a member of the Irish Christian Brothers. He undertook his early degree studies at UCD in Dublin, and later studied for postgraduate qualifications in Education at Queen’s University Belfast. Among other studies he spent a year at the Catechetical and Pastoral Institute in Mount Oliver in Dundalk in 1973. Brother Edmund had a distinguished career in the Congregation of Christian Brothers, where he was recognised by his peers for his many outstanding contributions to Education, with an emphasis on the Edmund Rice Ethos and Heritage. Among schools where he taught were the O’Connell Schools in Dublin, Park Lodge Primary School and St Mary’s CBS Grammar School in Belfast and Abbey CBS Grammar School in Newry. His leadership qualities were recognised at the international level by his appointment to the role of Assistant Congregation Leader and later as Congregation Leader at the Brothers’ Rome Headquarters. In these roles he was remembered by his colleagues for his enthusiastic support for the educational outreach of the Christian Brothers in several countries. 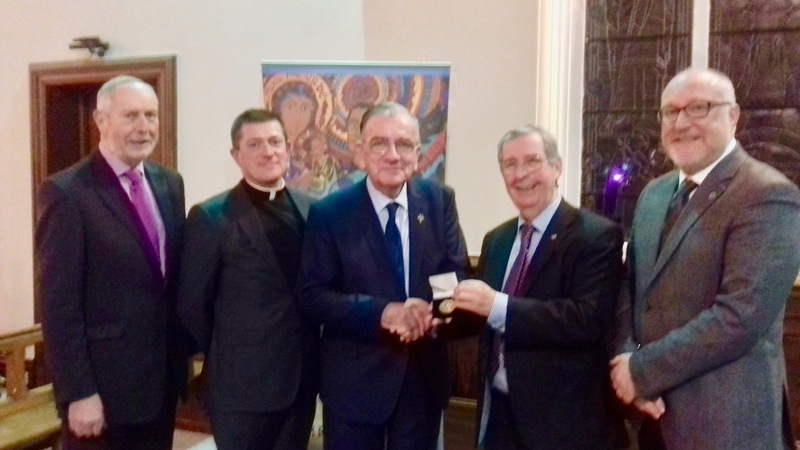 In his present role as Leader of the European Province of the Congregation, he continues to use his remarkable gifts in support of the ministry of the Edmund Rice School Trusts in the Republic of Ireland and in Northern Ireland. When the Trust was established in the North nine years ago, Brother Edmund served as a Member of the new Trust for the initial period of six years. During that time, and since then, he has been a great supporter of the work of the Trust, support which he continues to give generously.